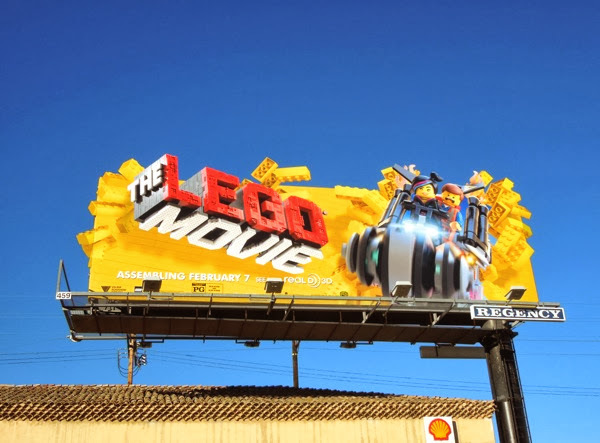 Now here's a bright and fun way to start another MOVIE WEEK, this time courtesy of The Lego Movie. 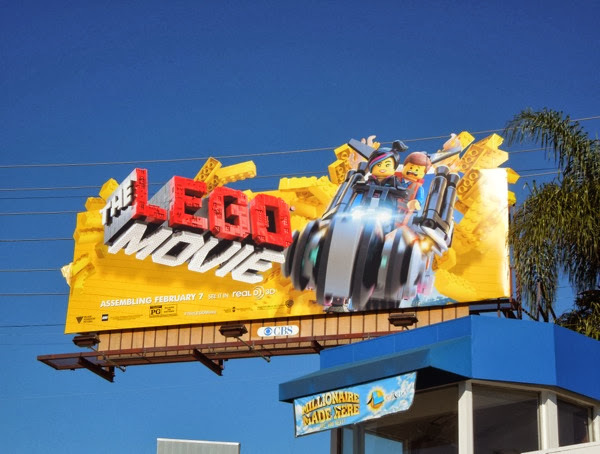 The real question here though is, will you be going to watch this new computer-animated movie for yourself, or for your kids? 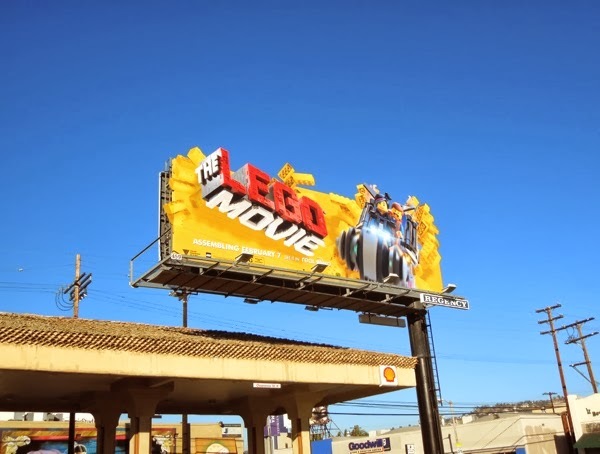 That's the thing, just who is this movie based on the iconic building block toys aimed at? 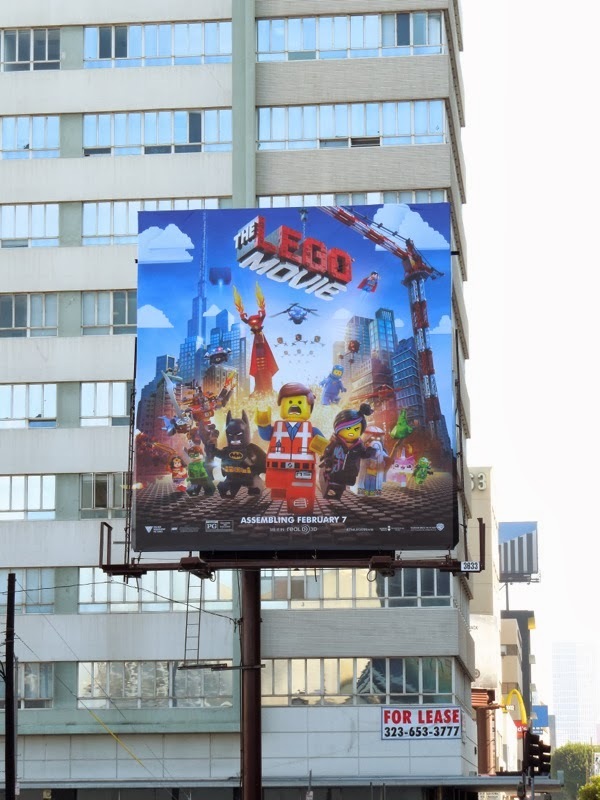 Is it for young children who'll enjoy the bright colours and crazy characters, or is it for the nostalgia and the grown up humour and storyline, which obviously this film must have to sustain a whole movie and appeal to adults. 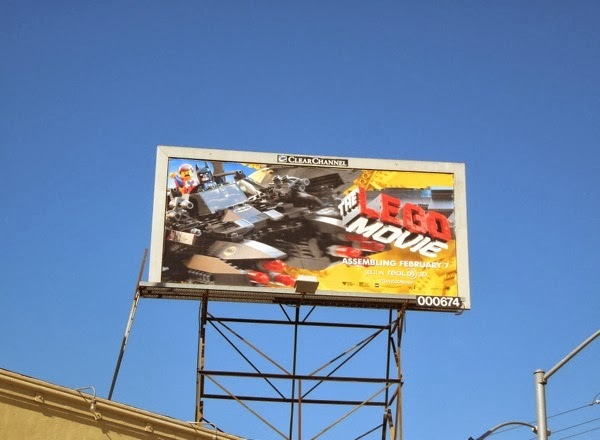 The film is based on the toy bricks, but it also sports many familiar characters in Lego form, like Batman and other DC Comics superheroes, Superman, Wonder Woman and Green Lantern, so it's technically the closest we've seen to a Justice League movie in recent years. 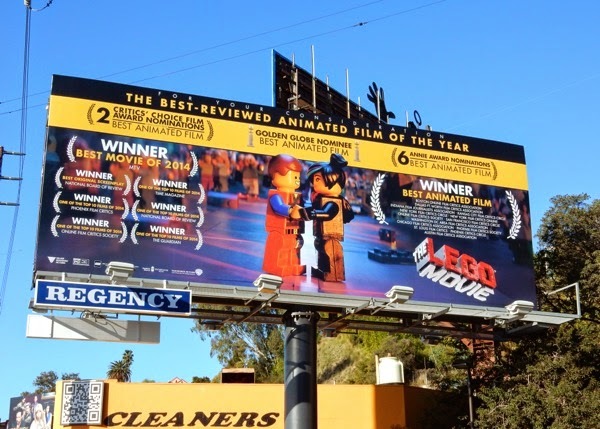 It's a similar strategy to what Toy Story did with classic, instantly recognisable toys, plus what Wreck-It Ralph did with video game characters, mixing something old and beloved, with something new. 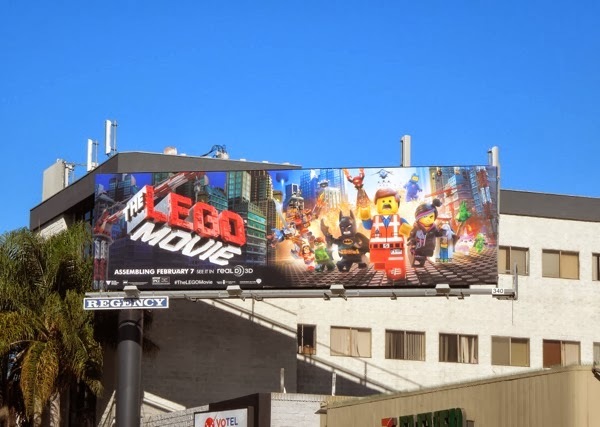 In this Lego cinematic universe Chris Pratt voices the character of 'Emmet', an ordinary mini-figure who's mistaken for being the special 'Master Builder', who has the power to save their universe from an evil tyrant, 'Lord Business' (voiced by Will Ferrell). 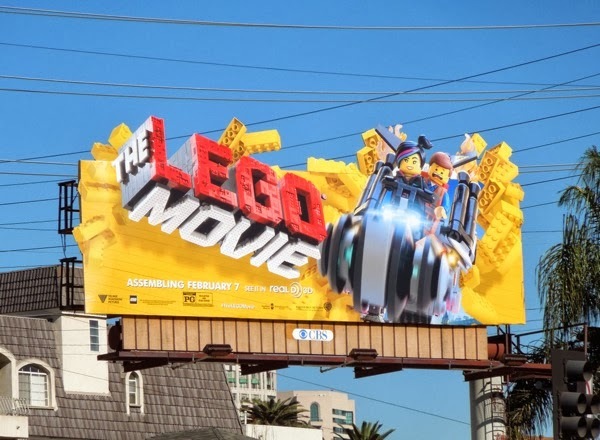 Our hapless hero is guided by Morgan Freeman's aged wizard 'Vitruvius' and assisted by Elizabeth Banks 'Wyldstyle' (the Lego chick crashing through the billboards with Emmet), and thankfully their adventures are only 100 minutes long, more than enough time to tell whether you hate or love this newest toyline adaptation. 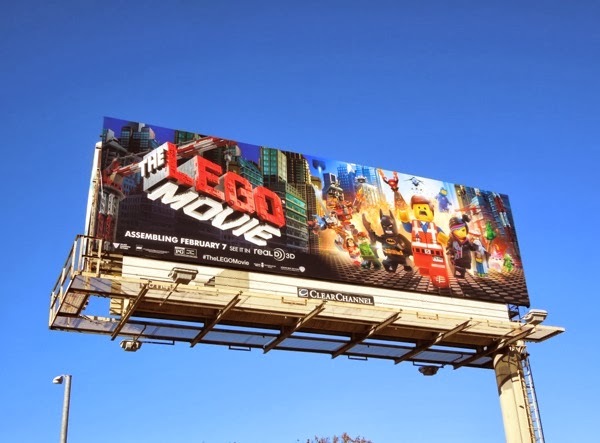 Whilst it may be hard imagining who this film is targeted at, at least these eye-catching billboards do a fantastic job of selling the action and excitement (and absurdity?) of the movie. 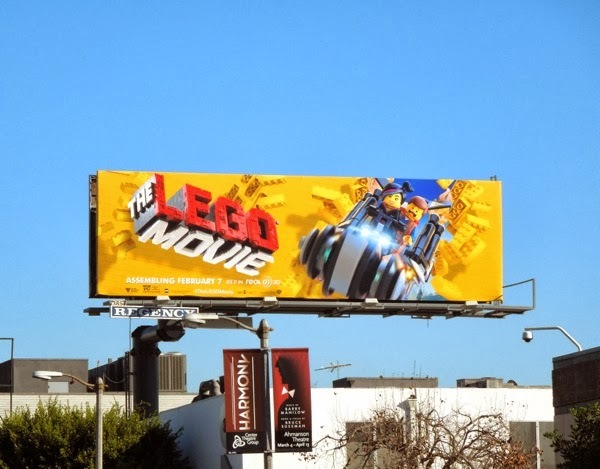 The special extension billboards certainly scream Lego with the yellow bricks scattering everywhere, and were spied along Santa Monica Boulevard and Fairfax Avenue on January 15, 2014. 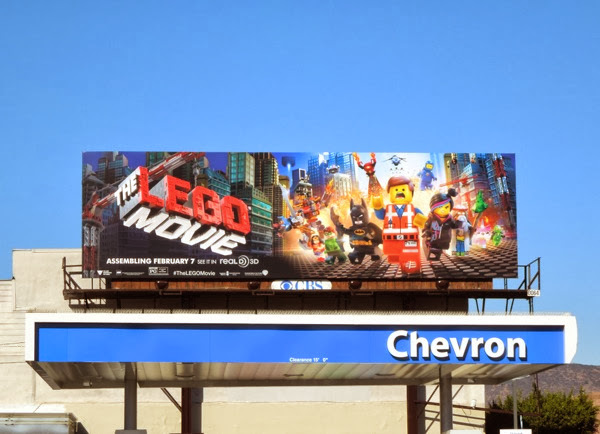 The other billboard creatives were snapped from January 9 through January 22, 2014 around the streets of L.A., from North Hollywood to West L.A., La Brea Avenue to Wilshire Boulevard, Olympic Boulevard to Beverly Boulevard. 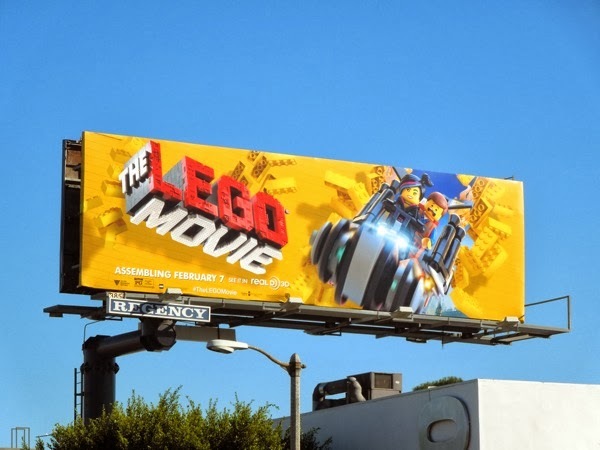 The Lego Movie may be assembling on February 7, but will it all come crashing down, or is this the beginning of a successful new movie franchise, one brick at a time. 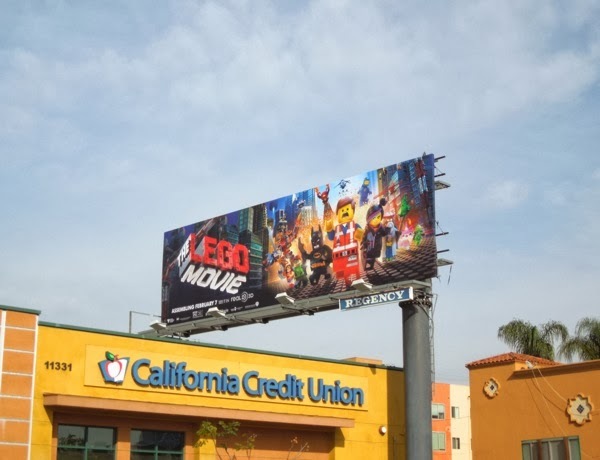 UPDATED: Not only was The Lego Movie a box office success, but it was also a critically-acclaimed one too, so let's see if that praise translates into accolades this awards season. 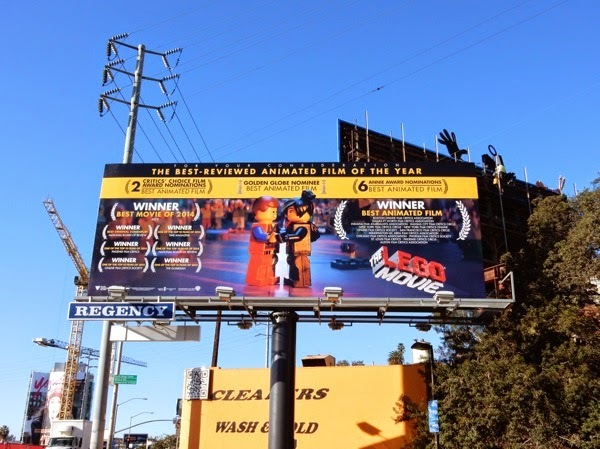 Here's a special consideration billboard, designed to encourage eligible members to cast their votes for the animated feature, spied along the Sunset Strip on December 31, 2014.